De fleste har vel opplevd problemer forbundet med fokusering på et objekt som er delvis skjult av forstyrrende elementer som vanskeliggjør effektiv fokusering, og som regel må man ty til ‘manuell fokusering’, men – når man benytter et mobilkamera hvor det meste er overlatt til automatikken – hvordan virker det da? Most of us have probably experienced difficulties related to objects being distorted by alien objects that makes normal focusing a bit tricky, and cases best solved by resorting to AF (manual focusing), bujt – how would this work using a mobile camera where most everything is leftg to automatics? Grunnet angrep fra litt større fugler har jeg valgt å henge opp fuglematen inne i noen tette busker hvor bare småfulgene kan komme inn, men hvordan fungerer dette hva angår fotografering? Og hva med dagens moderne mobil-kameraer? Kan de håndtere en slik utfordring? Det skal være sikkert og visst! Tykkelsen på denne busken er nærmere 2 meter, men kameraet fokuserte ganske uanstrengt uansett avstand! 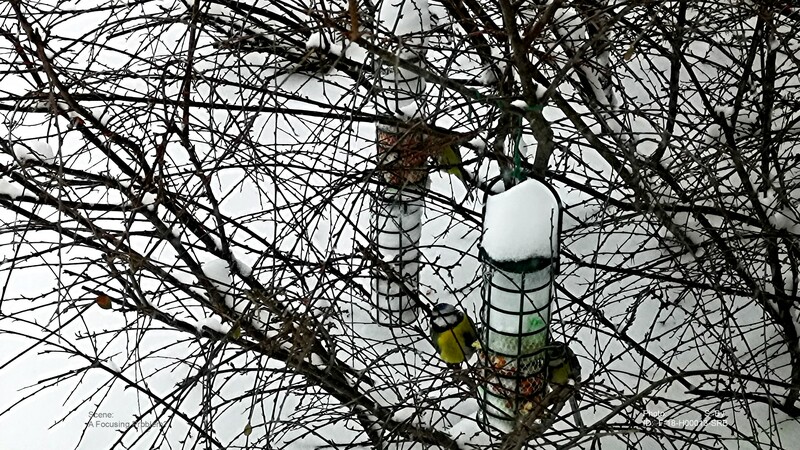 Due to attacks from lager birds I’ve chosen to hang my bird feeders into the middle of a thick brush where only the smaller birds feel comfortable, but – how will this work regarding photography? And what about the modern mobile cameras of today? Will they perform? And – I’ll say they did! The thickness of this brush is something like 4-5 feet, but my mobile camera focused with ease – right through the whole bush! This entry was posted in BUSKERUD and tagged bilde, bush, busk, focus, images, kjerr, Norge, Norvège, Norway, Norwegen. Noruega, photo, pictures, SeeNorway. Bookmark the permalink. 4 Responses to I’m impressed! Awesome shot. The detail is impressive. I thought so too! And all on ‘automatic’! Otherwise the magpies will consume it all! 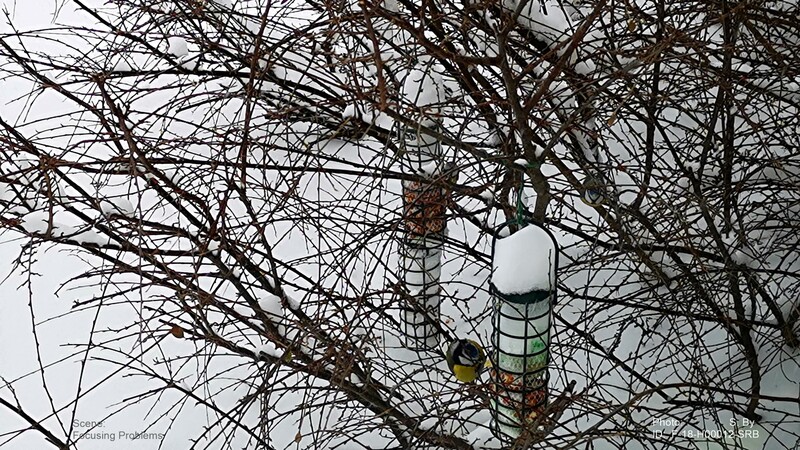 Very good picture and great to have the small birds there! Well thought.